We present informal musical events in nontraditional venues with the composers on hand to talk about the music and converse with the audience. 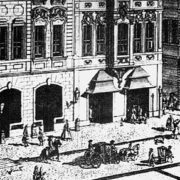 Our inspiration is Gottfried Zimmermann whose coffee shop in 18th-century Leipzig hosted the collegium musicum founded by Telemann and directed by J.S. Bach.